A sad news that shocked the christian community across the globe - Pastor Rick Warren’s son, Matthew Warren, 27, took his own life on April 5, 2013 (Friday evening). Matthew couldn't bear his life anymore due to a long-term struggle with his mental illness. Rick Warren is the author of many Christian books including the bestseller, The Purpose Driven Life. He is also the pastor and founder of Saddleback Church founded in 1980, located in Lake Forest, California. It is the 8th largest church in the US now. Matthew is the youngest son of three children. He used a gun to take his own life. "Unfortunately, he also suffered from mental illness resulting in deep depression and suicidal thoughts," wrote Rick in the email. "I'll never forget how, many years ago, after another approach had failed to give relief, Matthew said, 'Dad, I know I'm going to heaven. Why can't I just die and end this pain?' but he kept going for another decade." 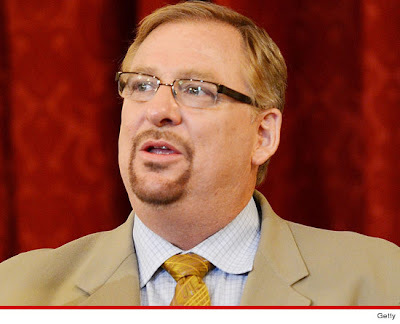 Prayers overpour for him on Pastor Rick Warren's Facebook page. On February 19, 2013, Pastor Rick guested on Oprah's Lifeclass saying that "Surviving Isn't Thriving." Video #4: Oprah's Lifeclass - "Surviving Isn't Thriving"
He believes everyone lives at one of three levels in life: Survival, Success and Significance. Only when we reach the highest level - Significance - are we living our life with a purpose. Pastor Warren says the "good" life isn't good enough. At which point did Matthew Warren find his life lacking or feeling there was a void to fill in? Pastor Rick sent his prayer request to his staff. 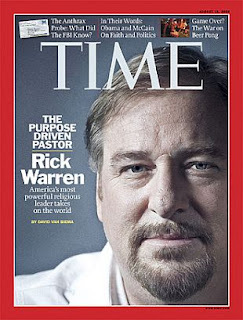 Let us all pray for Pastor Rick Warren and his family in this devastating moment.